By: Diane Kashin, Ed.D, RECE. I had the amazing good fortune to spend time with Lella Gandini, North American Liaison for the Dissemination of the Reggio Emilia Approach this past spring. When I began writing this blog, I “googled” the words, “relationships, laughter, play and Reggio inspired practice” and joyfully discovered an article from 2011 which is an interview with Lella in the American Journal of Play. In the article, when Lella was asked by the interviewer about who inspired the innovators of the Reggio Emilia Approach she spoke of the influence of others. In France, for example, there was the work of Celestin Freinet; in Switzerland, there was Jean Piaget; and in Russia, the influence of Lev Vygotsky, who had been interested also in the psychology of play. Malaguzzi was an avid reader of all these thinkers, but the one who probably influenced him most was the American John Dewey, whose work dated from much earlier but was translated for the first time in the 1950s. A decade later, Malaguzzi was very attentive to the work of two other influential Americans, David Hawkins and his wife Frances Hawkins, who were active in developing experiences and reflecting on them in line with progressive education. You can see why the Reggio Emilia approach resonates with educators in the United States even though there is a feeling that progressive education failed. In my view, it was never given time enough to develop on its own, whereas, by an odd turn of fate, it developed in Reggio Emilia. Seeing Frances and David Hawkins listed amongst these other giants reaffirmed the direction that I have taken in our practice as facilitators of adult learning experiences. Reading on in the article, Lella quotes the 100 Languages poem and reminds us “Malaguzzi said very clearly that nothing in the school should happen without joy. I do not think that he would have separated play and learning”. 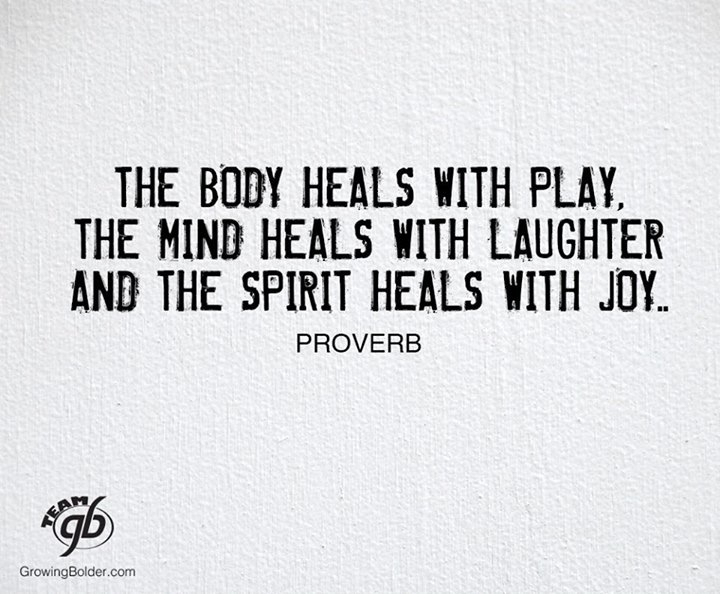 Not separating play from learning provides the environment from which joy can emerge. With the theories of Frances and David Hawkins and the wise words of Lella together with the poetic verses of Malaguzzi now guiding my practice, I have the theory, the history and the rationale for what I have instinctively I think have always known. My instincts were confirmed after a joyful week of professional learning spent with others playing together and learning. It was during that week that I was scrolling through my newsfeed on Facebook, when I came across this saying shared by one of my oldest friends who has always made me laugh even during times of sorrow. It was at this moment that I began formulating my thoughts and reflections about play, laughter, joy and ultimately relationships. 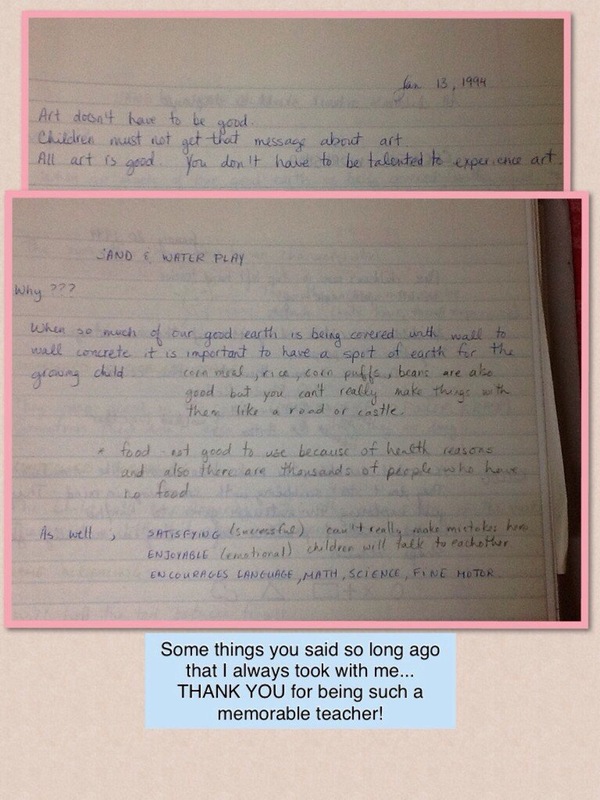 Over twenty years ago, when I first began teaching adults, I was barely an adult myself. I was a young parent with five or six years experience working as an early childhood educator. I hadn’t heard of Reggio Emilia or emergent curriculum but I knew the value of play and open-ended materials. My classes at the college were more hands on than lecture. It was in the facilitation of these hands on experiences that I was most comfortable. When I stood before the class, as the “expert” I suffered from the “imposter syndrome” when it was my time to “teach”. If it hadn’t been for the kindness of a more experienced colleague, Nancy Brown, who took me under her wing, as my critical friend, my early years of teaching would not have been so fondly remembered. As my critical friend, Nancy challenged my thinking but at the same time she made me feel competent and capable. She believed in my capacity to teach. I cherished the hours I spent with Nancy, not only for the learning, it was laughter that lives on in my memory, as Nancy has one wicked sense of humour! Fast forward twenty years later, I am facilitating the Reggio Summer Intensive and one of the participants was a former student! When Santina (find her on Twitter @insotribimbi) sent me this photograph of the notes she took in my class, from 1994, I thought back to those days. I am grateful for this gift. Instinctively, I knew 20 years ago that in order to learn, my students needed to play. I was not as confident in my views as I am today. The difference now is that I have the experience and the expertise. Back then even with the support of my critical friend and mentor, I still felt that I didn’t belong to the larger group. Maybe it was because there wasn’t enough playing together, laughing with each other and joy? Now, I realize that expertise and experience is within each of us – adult or child and when we provide and invite others to experience and play together we teach and learn from each other. Some of our participants in the Reggio Summer Intensive were reluctant at first, but by the end of the week all had seen the value of play. When we were immersed in play, the laugher soon followed. The laughter taught us that it was okay to be vulnerable and while others may break out in a belly laugh when you shared a funny story from your practice with children or chuckled when your theory about the properties of a particular material proved comical, it was a safe community to be you. 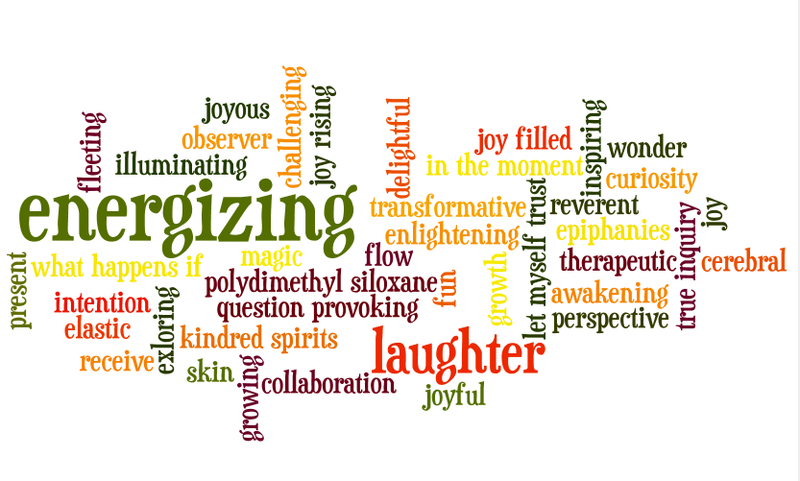 We asked everyone to sum up the week in a few words and created a wordle. The larger the font of the word the more often it was said but the variations of the word “joy” are telling of our experience. The second annual Reggio Summer Intensive took place from August 11th to August 15th. We were hosted by the Acorn School and spent one of our days at the Seneca College, Newnham Labschool where we played in the Hawkins Messing About room surrounded by the inspiration of the panels from the Cultivate the Scientist in Every Child exhibit which depicts the philosophy of Frances and David Hawkins. 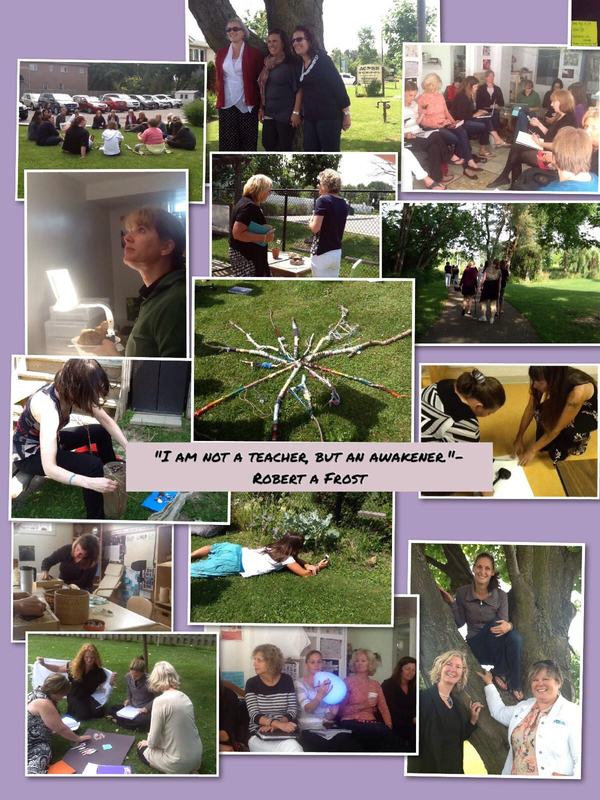 If you followed our tweets throughout the week via #ReggioPLC you can see that our week was filled with laughter and joy. In the spirit of Frances and David, we messed about – we played! In the end we built relationships that will continue because we also messed about with social media and have a way to stay connected to continue the learning, the sharing, and the laughter. 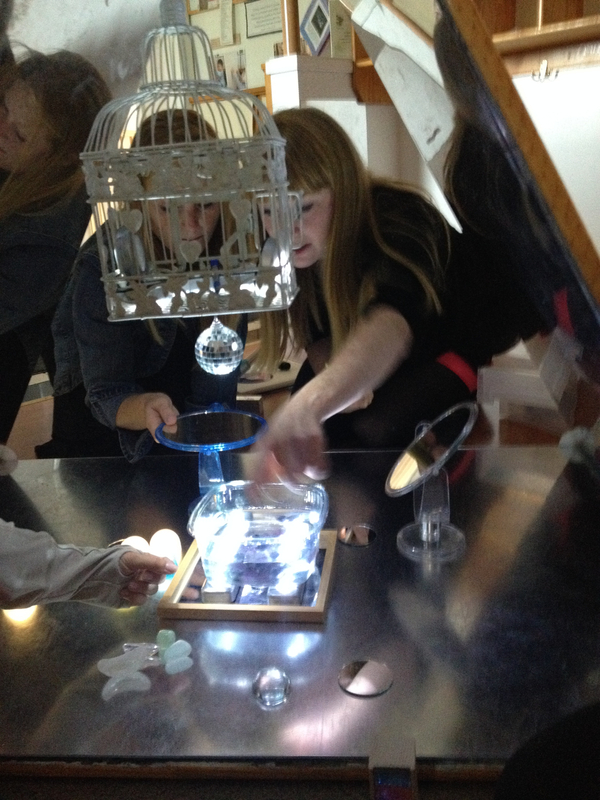 Twenty Reggio inspired educators together for five days – early childhood educators, kindergarten teachers, grade one teachers and early childhood education professors, together playing. We all had different perspectives, and the resultant multiple perspectives came together like rays of light illuminated into the rainbow effect of a prism. We played a lot during the week with light. We discovered by manipulating objects, overhead projectors, flashlights and other assorted materials, we could create prisms. I am not sure about the science or prisms but I love their metaphorical aspects especially since it is one my husband, the optician and I have played around with. You can see what he came up with when he reflected on the metaphorical qualities of the prism effect when applied to his practice. During the course of the week, attention was paid to the learning environment with the intentionality. 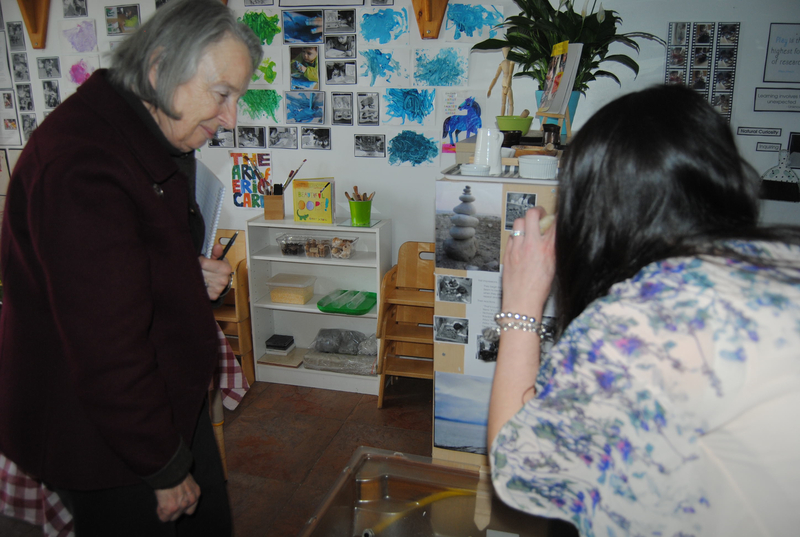 Yes, the physical environment was important and so Louise and I paid careful attention to the set up of materials for invitation and provocation, but the emotional and the social were essential in order for the cognitive (the learning) to develop. We did not stand in front of the group of learners to “teach” even though I am not longer the scared young professor, getting by on determination and not expertise or experience. Instead we played and messed about. We shared experiences and expertise. We laughed. We laughed a lot. Nothing without Joy.